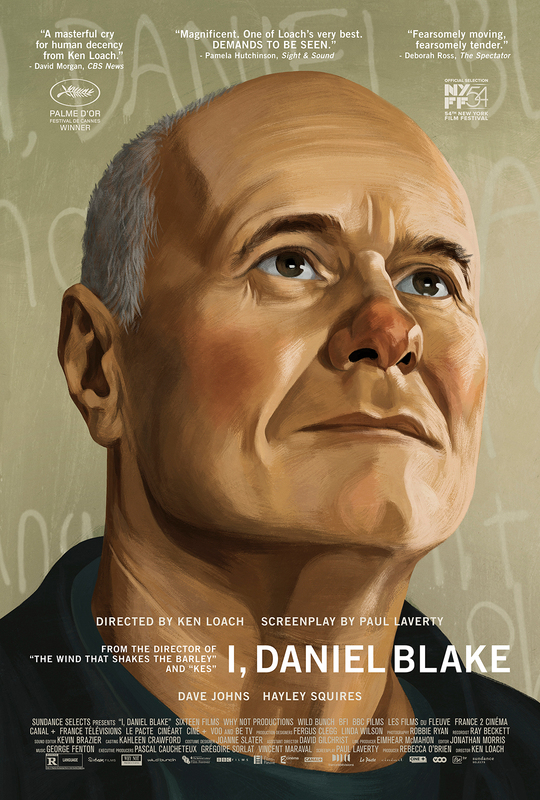 Directed by Ken Loach, this drama stars Dave Johns as a 59-year old Newcastle widower who’s recently suffered a heart-attack and been deemed unfit to return to work as a joiner. After being denied employment and support allowance during his recovery, he must fight the bureaucratic system. The film garnered several awards at the 2016 Cannes Film Festival including the Palme d’Or. In 2017, the illustrated one-sheet received a nomination for a Clio Key Art Award.